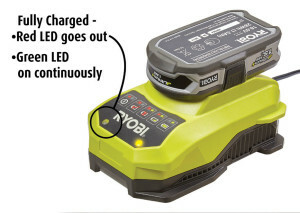 You should only use the correct charger to recharge the b-tec 807 battery (TEC-BATTERY). 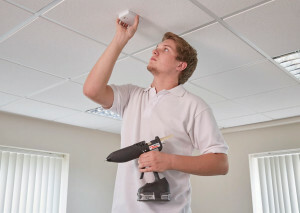 Failure to do so could irreparably damage the battery, and/or could be hazardous. The following notes assume that the correct charger is being used with the TEC-BATTERY, and that the safety and operation instructions provided with the charger are followed. A fully discharged TEC-BATTERY takes around 50 minutes to fully charge. Charging in progress is indicated by a flashing green light on charger. 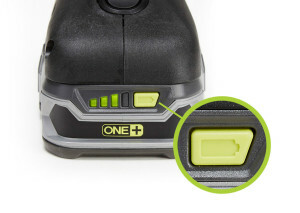 The TEC-BATTERY is fully charged when the green light on the charger stops flashing and is fully illuminated. To check the battery’s charge status whilst fitted to the b-tec 807 tool, simply press the power indicator button on the side of the battery. A battery that has been fully charged, or one that still retains most of its charge, will display all four lamps on the battery’s power indicator whilst the power indicator button is depressed. As the battery is discharged during use, the number of lamps illuminated whilst the power indicator button is depressed, decreases. Switching on a b-tec 807 tool with a fully charged TECBATTERY, and leaving it standing unused, will discharge the battery after approx. 40 minutes. 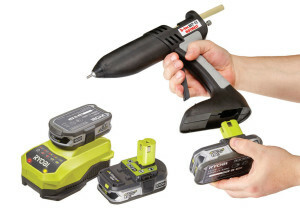 Switching on a b-tec 807 tool with a fully charged TECBATTERY, and using it regularly (but not constantly) will discharge the battery after approx. 30-35 minutes. Switching on a b-tec 807 tool with a fully charged TECBATTERY, and using it relatively heavily (i.e. 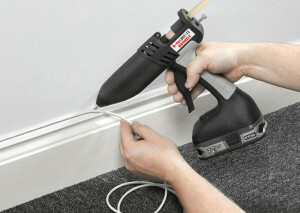 extruding adhesive until tool goes ‘on demand’ once every minute) will discharge the battery after approx. 20 minutes. (Over a period of approx. 20 minutes during the testing, 6 x 300mm Tecbond 23 sticks were extruded. Heavier tool use than that indicated above could reduce the 20 minute figure still further. 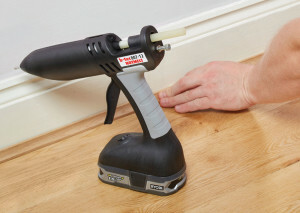 However, for such relatively heavy use, Power Adhesives would suggest using a different, mains-powered tool. 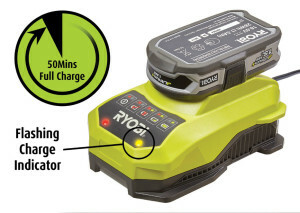 If mobility is essential for the application, multiple batteries could be utilised to maintain a continuous rate of work.